Edwin and Paula applied to and were accepted to 2019 NESACS Delegation to GDCh-JCF Mainz-Wiesbaden in Germany and presented posters. 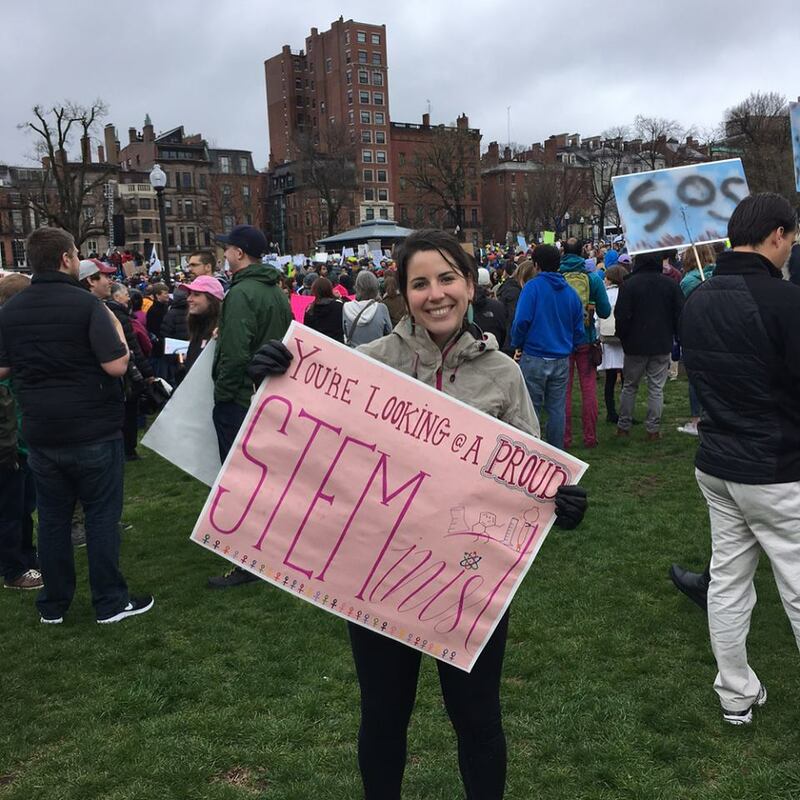 Great work representing the group! Jada and Logan presented their work at the UROP poster presentation! Great work and good looking posters! Congratulations to Jesse! He has been accepted to medical school! 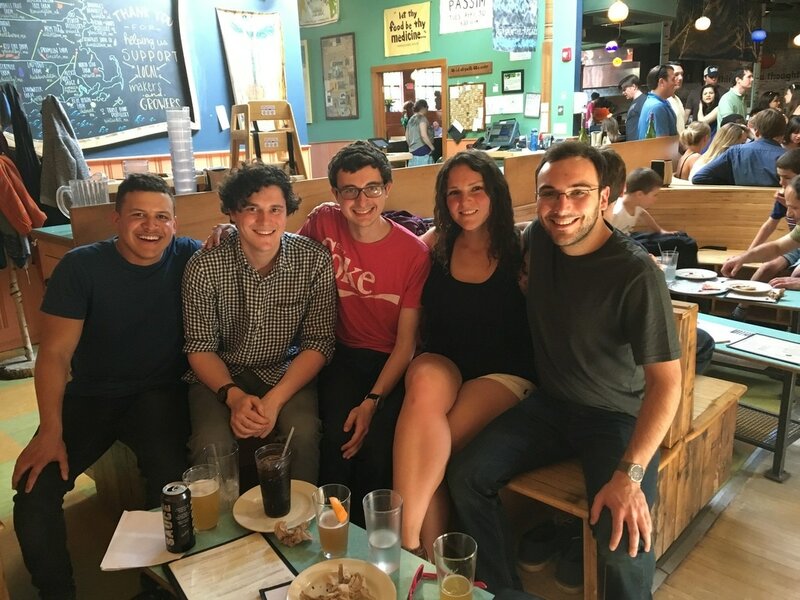 Maggie Kitt, Jason Lenihan, and Matt Mailloux have joined the lab as first year graduate students and Kaleigh Allen, Shruti Kumta, and Victoria Jordan have joined as undergraduate researchers! Lots of new faces and lots of chemistry to do! Welcome to all! Having a great send off lunch with Yann and Sean at one of our favorites - Fins! We will miss you both and wish you the best of luck moving forward! Congratulations to Long! His paper titled "Synthesis of Complex Stereoheptads En Route to Daphnane Diterpene Orthoesters" has been accepted to Org Lett. Great work! Yann has accepted a position as a synthetic organic chemist of the radiochemistry department of Seclia in London, UK! Congratulations Yann and thank you for your work this year! 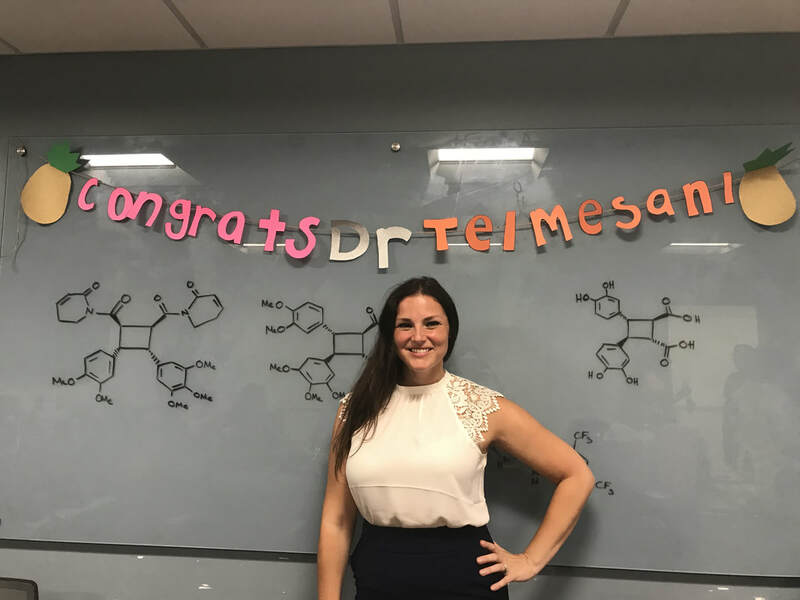 Congratulations, Dr. Reem Telmesani! 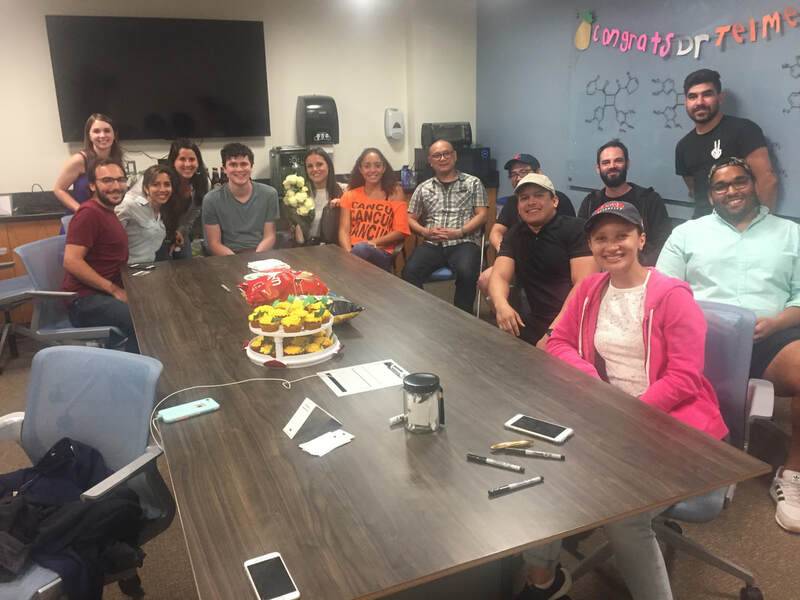 Reem is the second student to graduate from our group and she successfully defended her thesis on July 24! 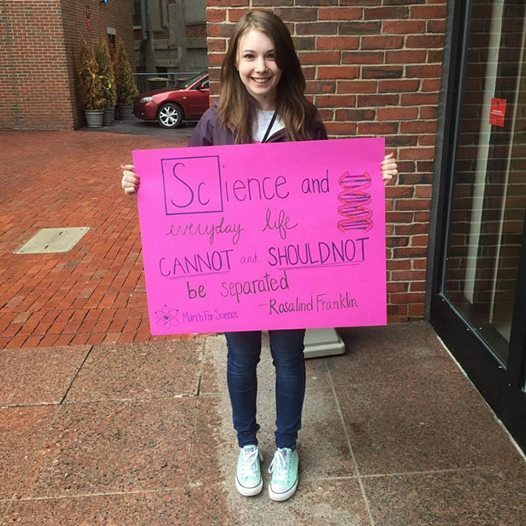 She will be starting as a Senior Scientist at Snapdragon Chemistry in September. Good luck! Congratulations to Edwin! He has been awarded the BU Chemistry Department's Vertex Fellowship for the 2018-2019 year. Well deserved! Welcoming our newest group member, Kai Beeler! Congrats to Jada and Logan on being awarded UROP funding to do research over the summer! Congratulations to Long for graduating on May 18, 2018! 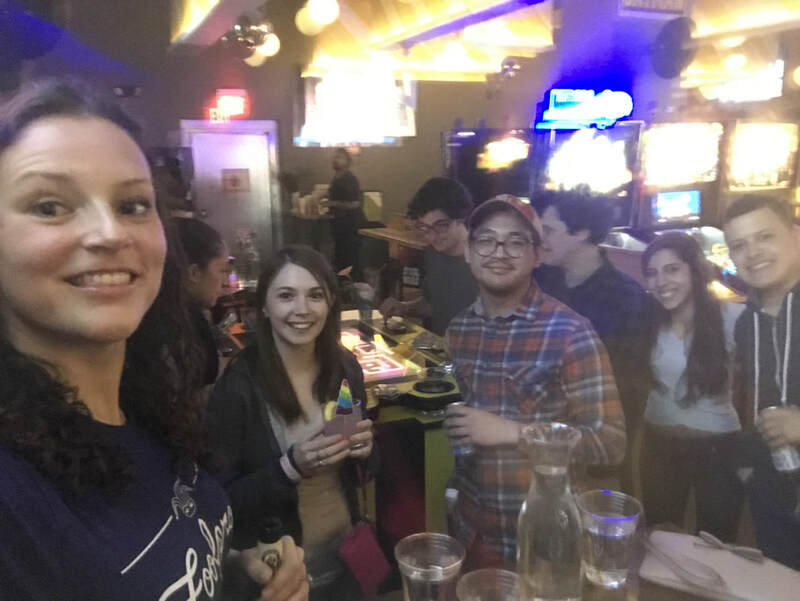 The group had lots of fun celebrating all of our big milestones by going out to Roxy's A4cade! 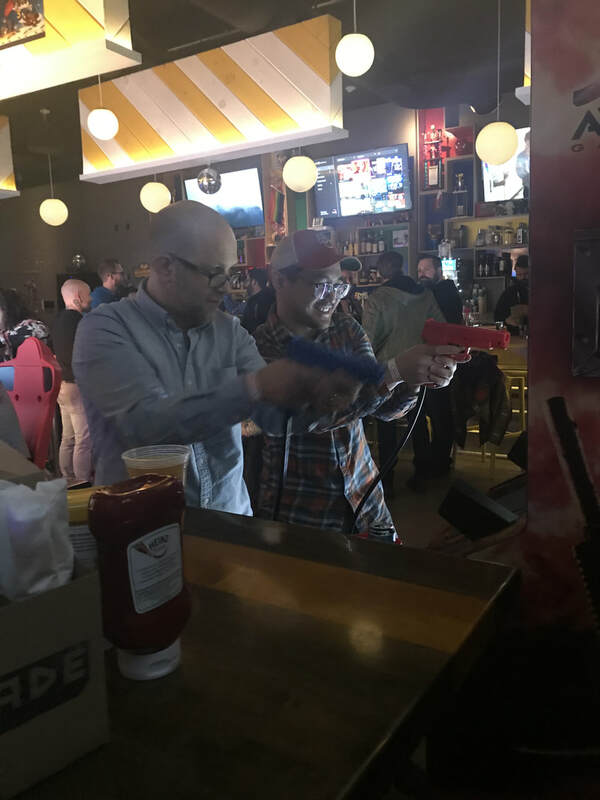 Congratulations to Shiva and Doug for successfully passing their second year qualifying exams! 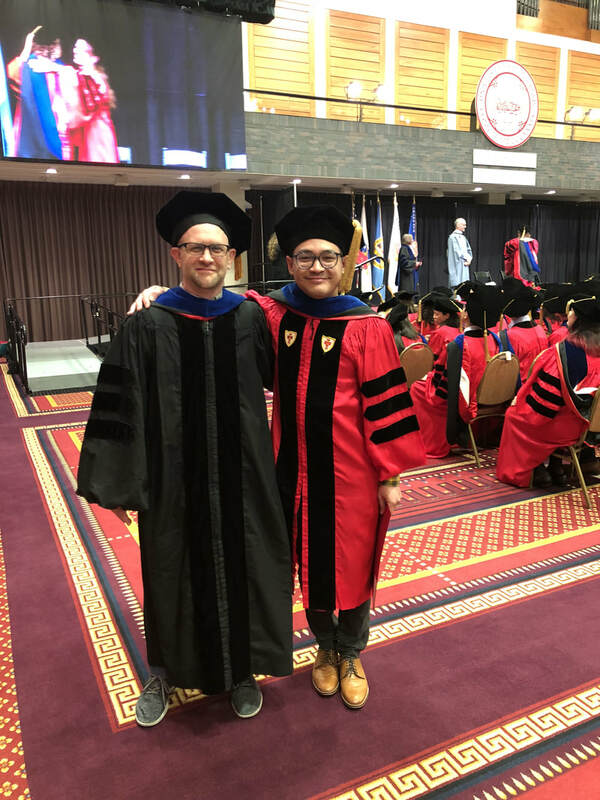 Congratulations to Dr. Long Nguyen on his successful defense of his thesis! The first graduate from our lab! We wish you good luck as a postdoc in the Jamison lab at MIT!!! Alexis has been accepted into the Scholarship of Teaching and Learning (SoTL) Scholars Program. 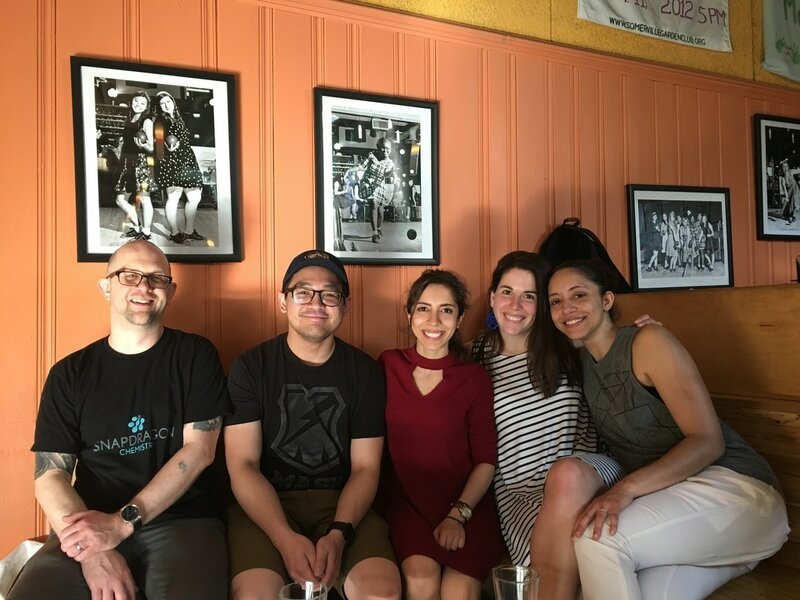 This year long program aquaints graduate students with the fundamental concepts and core practices of the SoTL, a field of inquiry that examines the intersection of instruction and student learning across disciplines in higher education. Congratulations! Yann Corre has joined the group as a Post Doctoral Fellow. Yann earned his Ph.D. from the University of Lille in 2015, followed by a post doctoral position at University of Grenoble. Welcome, Yann! Logan Sigua has joined the group as an undergraduate researcher and will be working with Gabie. Welcome! Ashley Antico has joined the group for the summer as a GROW high school student and will be working with Reem and Shiva. Zechariah Diaz-Grace has joined the lab as an REU researcher this summer. He comes to us from Norfolk State University and he will be working with Gabie. Welcome! Congratulations to Paula for passing her qualifying exam!! So fun to celebrate with the Whitty lab, where she has a joint appointment! 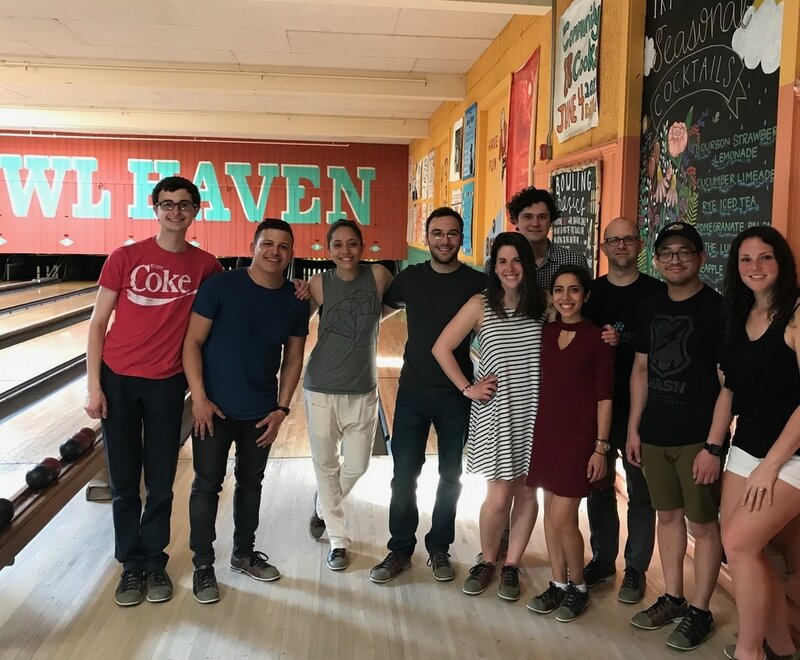 Our group outing at Sacco's Bowl Haven is always a favorite!! Some friendly competition going on...! 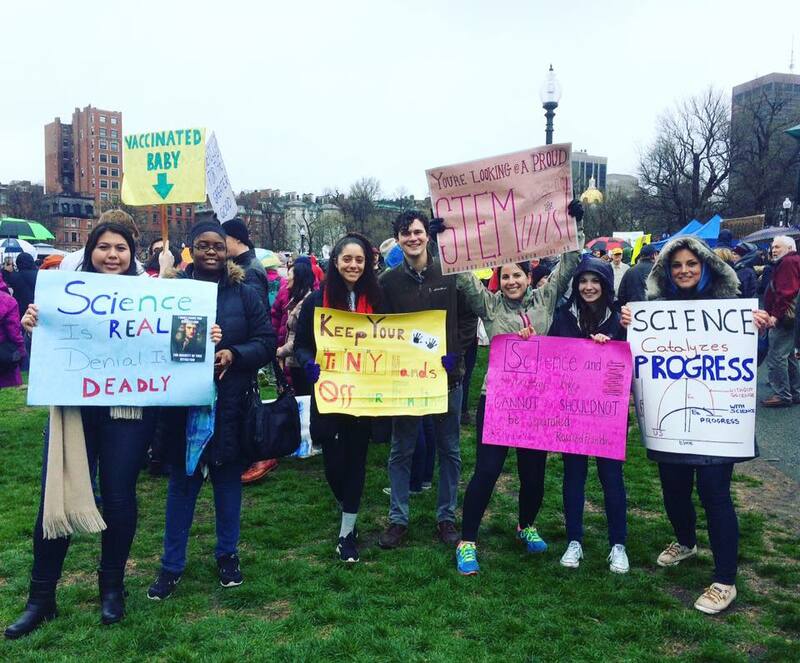 Sean, Paula, Reem, Alexis, and Gabie participated in the March for Science today! It was a great day!! 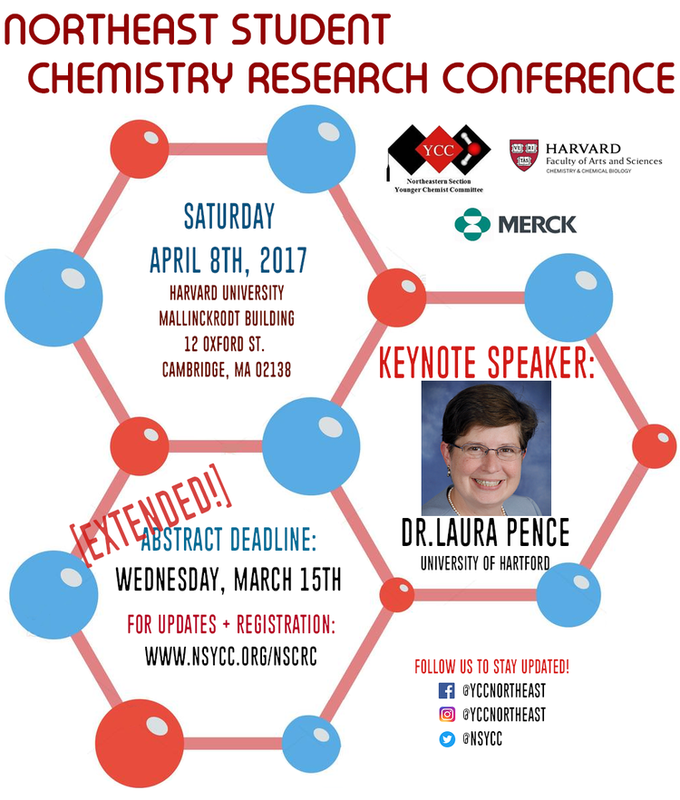 Gabie and Reem attended and presented posters at the Northeast Student Chemistry Research Conference hosted by YCC at Harvard. 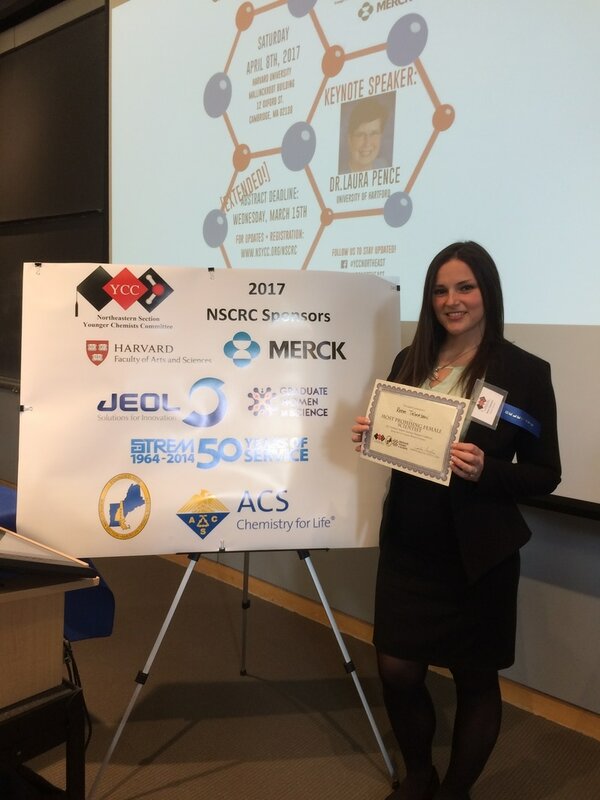 Reem was awarded the "Most Promising Female Chemist" Award. Congratulations! ​Reem was presented an award for giving the best presentation at Fruhjahrssymposium in Mainz. Congratulations! Reem applied and was accepted to 2017 NESACS Delegation to GDCh-JCF Mainz-Wiesbaden in Germany. 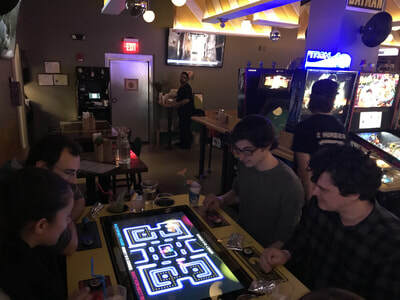 [link] Have fun! Our group attended the Center for CH Functionalization C-H activation Virtual Symposium, with talks by Seth Marder, Sarah Reisman, Erik Sorensen, and Peter Zhang. Fantastic series and opportunity to hear about some great work! 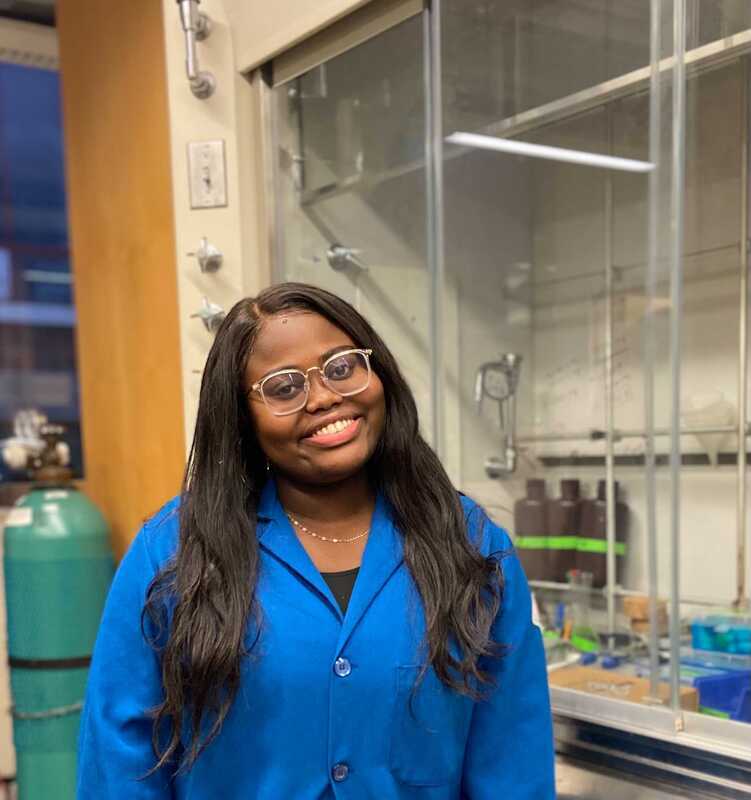 Jada White (CAS '19) has joined the group as an undergraduate researcher working with Reem. Welcome! Jesse Mendoza (CAS '19) has joined the group as a undergraduate researcher working with Edwin. Welcome! Doug Fraser and Shiva Dastjerdi have joined the lab as first year graduate students. Welcome!! Our street piano will be placed at the Museum of Science! Welcome to the new first year students! Congratulations to our REU student, Diana, and our GROW high school student, Stella, for presenting their summer work at poster sessions this week! We are making great progress on the Boston Street Piano! Congratulations to Reem for getting married this weekend!! 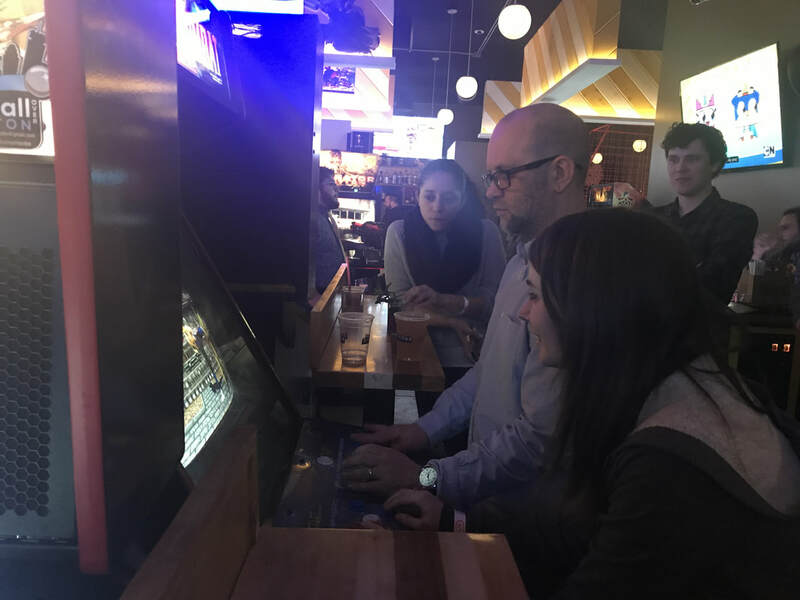 We submitted an application and were selected to design a piano dedicated to chemistry on the premise that Boston is arguably the world leader in science and it would be great to represent that aspect of the city in this public art exhibit. 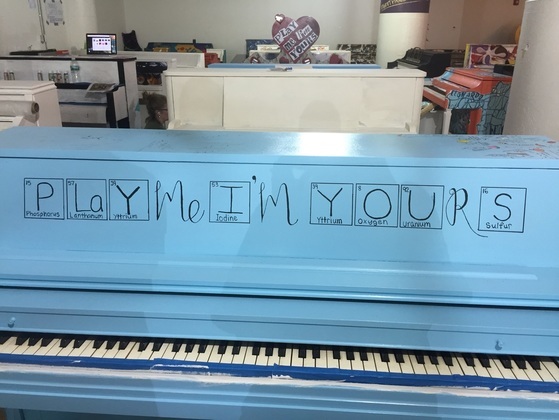 We were excited to be selected and now have a piano to be decorated! Take a look at our Street Piano page to learn more and submit your favorite molecule! Nicky Eleuteri and Qiwen Gao have joined the lab as undergraduate researchers and Diana Diaz will be working in the lab for the summer as an REU student with Edwin. Welcome! Congratulations to Tessa and Rachel on graduating! We will miss you! Congratulations to Alexis for receiving the CAS Outstanding TF Award! 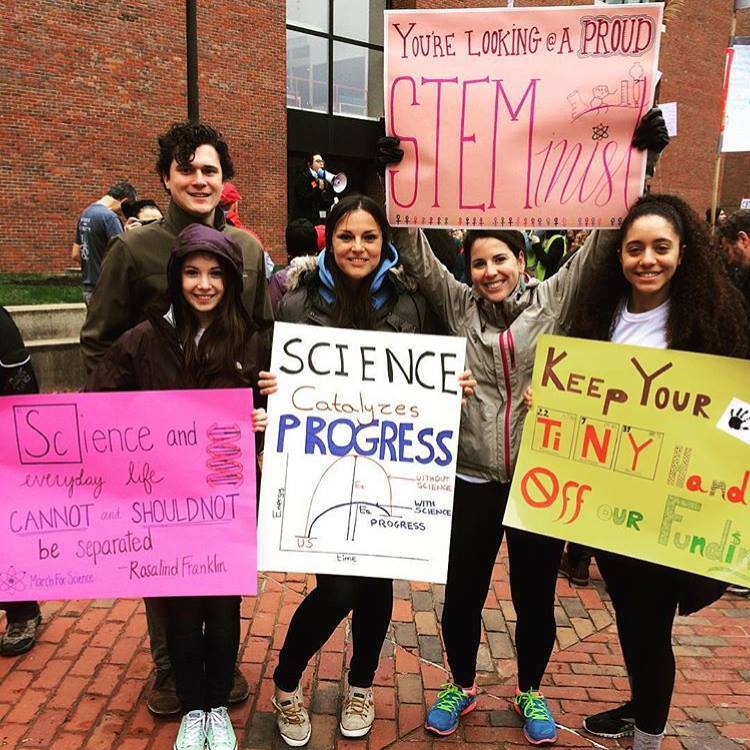 As members of BU Women in Chemistry, Alexis (Outreach Coordinator), Gabie (Secretary), and Reem (President) hosted a number of local high school students for the annual Chemistry Day event. They performed a number of fun and educational experiments. Congratulations to Rachel and Tessa for being accepted into fantastic graduate school programs! Rachel will be attending University of California Berkeley and Tessa will be attending University of Chicago. We are so proud of you both!! Tessa and Rachel presented their senior presentations to the department and received a number of awards. Tessa was awarded the service award for the Department of Chemistry and Rachel was awarded the Mason Award, the College Prize for Excellence, the Organic Chemistry Award, and she was officially named Valedictorian of this class. Congratulations!! Congratulations to Gabie and Edwin for passing their second year qualifying exams! Reem and Alexis hosted Upward Bound for a week of fun and educational chemistry! Alexis and Reem with the Upward Bound group! Alexis, Long, and Reem represented the group and presented posters at the BSOBC. Sean and Aaron's book chapter Photochemistry in Flow in Photochemistry: Volume 43 has been published. Alexis, Long, Sean, and Rachel represented the group and presented posters at ACS Boston. Congratulations Reem, Sung, and Tessa on your publication [2+2] Photocycloaddition of Cinnamates in Flow and Development of a Thiourea Catalyst in Angewandte Chemie International Edition! Congratulations to Morgan, Jessie, and Sharon for graduating with their B.A. in Chemistry! As part of BU Women in Chemistry (BUWIC) outreach, Reem (Outreach Coordinator) and Alexis (Secretary) taught high school students about chemistry! Check out some demos we performed for the students! The first years hosted Upward Bound to do some fun and educational chemistry for the week! Edwin, Gabie, and the Upward Bound students in the lab! Congratulations to Alexis and Reem on successfully completing their qualifying examinations! 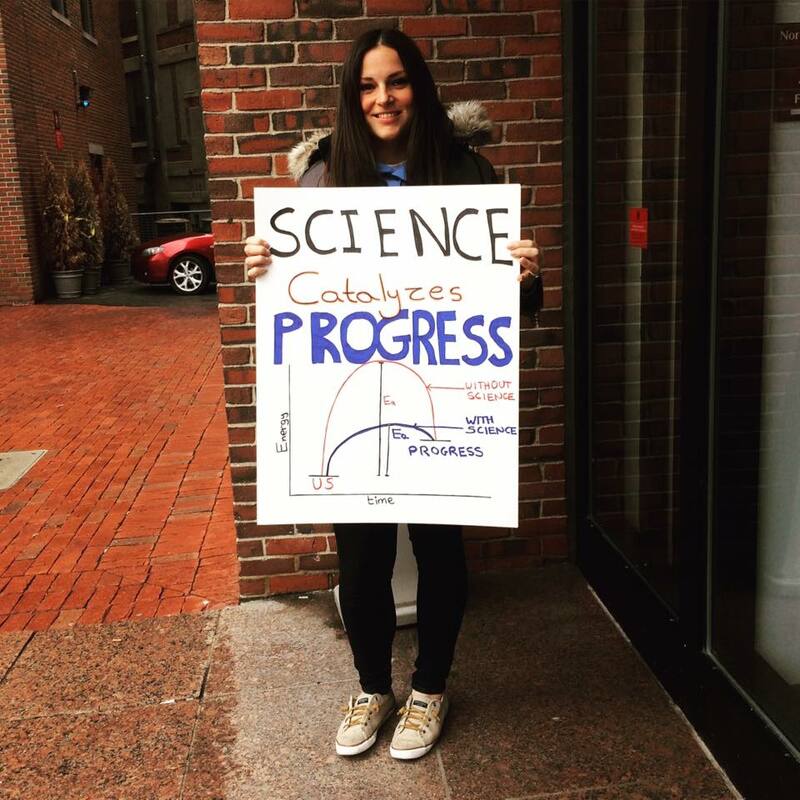 Paula Ortet has joined the lab as a first year graduate student from the Molecular Biology, Cell Biology and Biochemistry (MCBB) Program, jointly appointed with the Whitty lab! 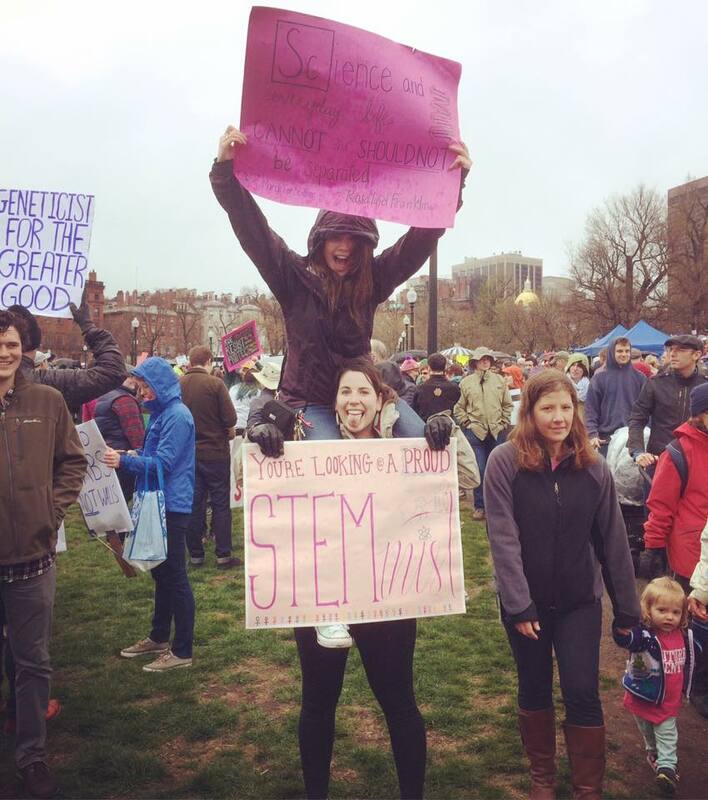 Kayla Myers has joined the lab as an undergraduate researcher. Congratulations to Alexis and Reem for winning the Chemistry Department Photo Contest with their Electrophile and Nucleophile Halloween costumes! Alexis, Gabie, and Reem also won the GWISE ugly sweater contest with their "Rocking Around the Chemist-Tree" Christmas sweaters! 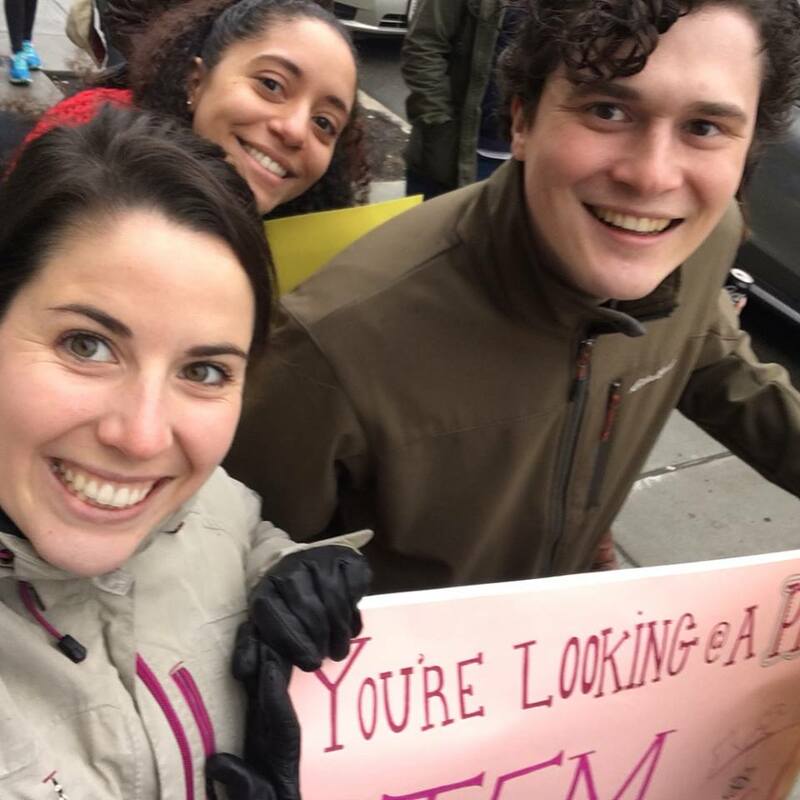 Edwin Alfonzo and Gabrielle Fleming have joined the lab as first year graduate students and Rachel Rosen has joined the lab as an undergraduate researcher! Sean and Reem represented the lab at ACS San Francisco by presenting their research at the poster session! 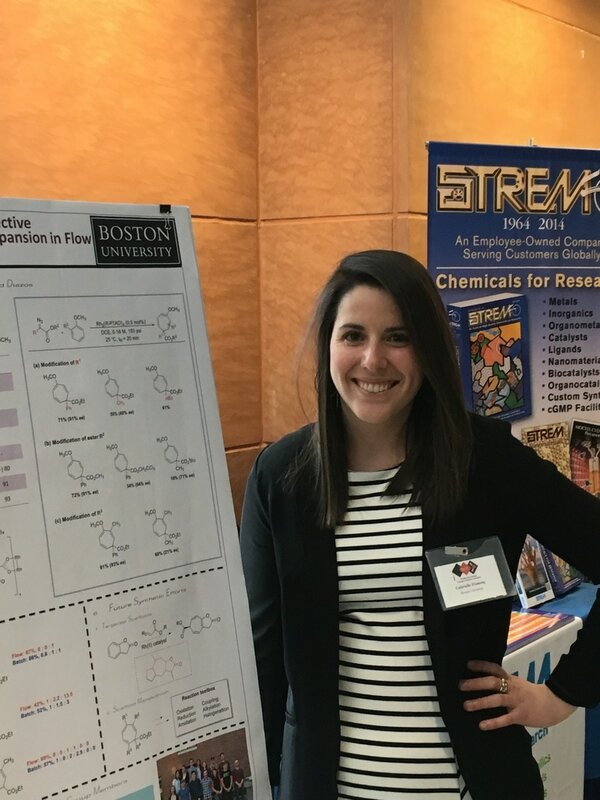 Congratulations Kristen on your new position as lecturer at Brandeis University! Tessa Colameta, Jessie Zhen, and Morgan Myers have joined the lab as undergraduate researchers. Alexis and Reem had a chance to attend a round table discussion with Dr. Mayim Lialik, also known as Amy Farrah Fowler on "The Big Bang Theory"
Con-"grad"-ulations Anastasia Voevodin and Anjeza Beharaj, BU Chemistry Class of 2014! Congratulations Sharon on receiving the Anne Gounaris Scholarship! 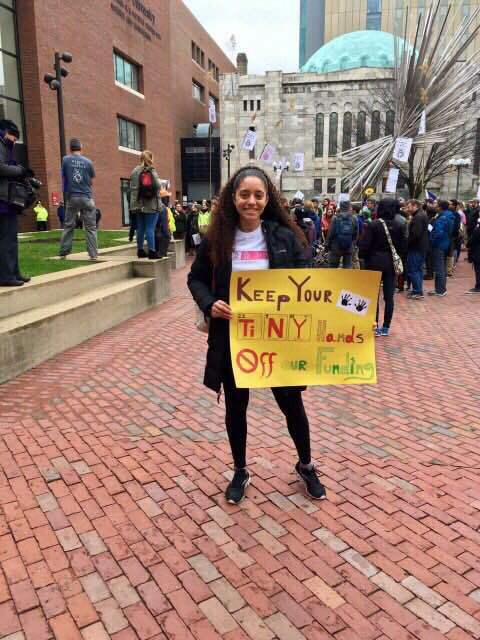 Congratulations Anastasia on passing your honors thesis defense! 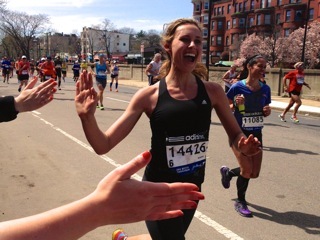 Congratulations Anastatia on completing the Boston Marathon in 3:30:10; we are so proud of you! Congratuations to Sean and Long for successfully completing their second year oral examinations! Reem Telmesani has joined the group as a first year graduate student. Alexis Courtney has joined the group as a first year graduate student.